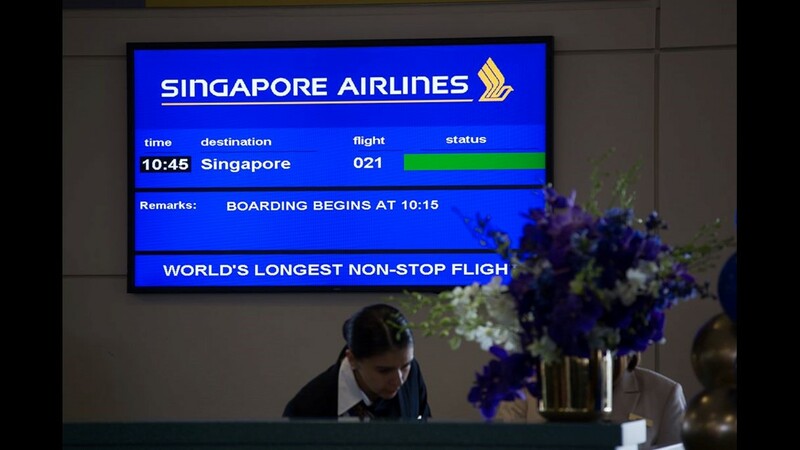 Passengers check in for the world's longest flight, Singapore Airlines Flight 21. 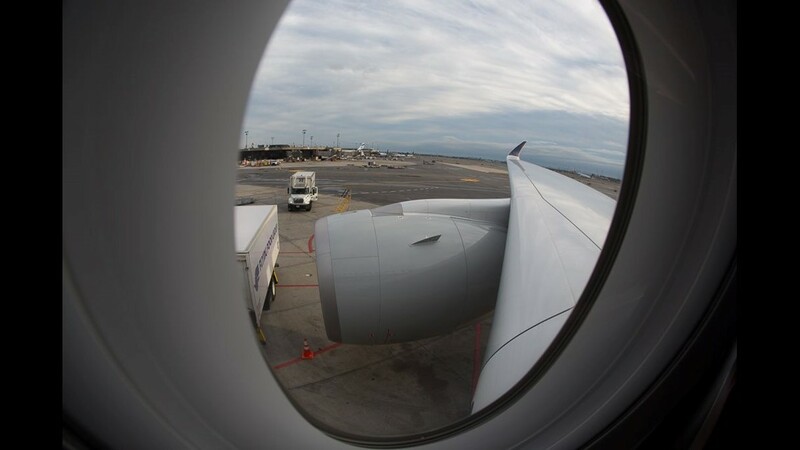 From Newark, the 9,534-mile flight to Singapore launched Oct. 12, 2018. 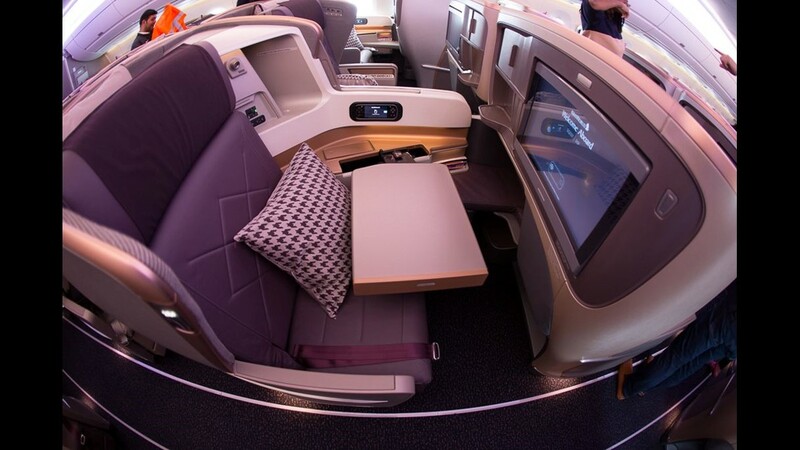 Singapore Airlines' business-class cabin, aboard the Airbus A350-900ULR jet, which began operating the world's longest flight, between Newark and Singapore, on October 12, 2018. 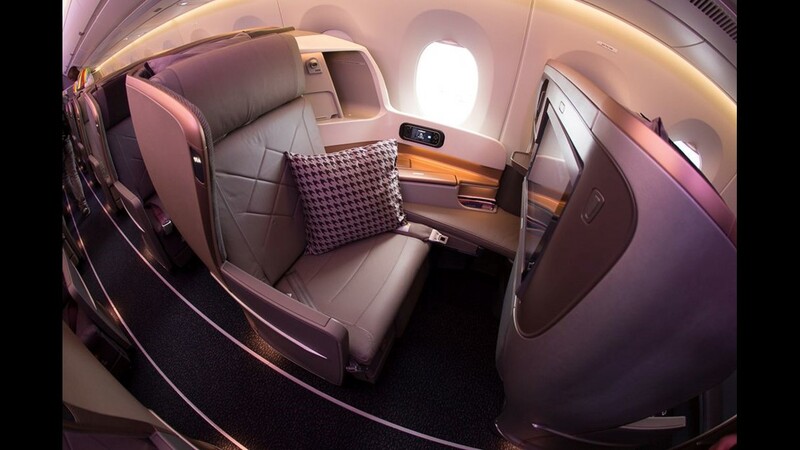 Singapore Airlines' business-class cabin, aboard the Airbus A350-900ULR jet, which began operating the world's longest flight, between Newark and Singapore, on Oct. 12, 2018. 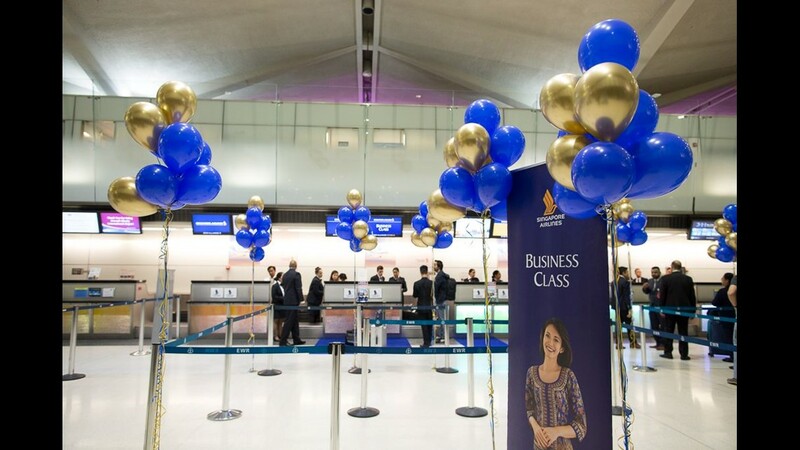 Balloons decorate the Singapore Airlines check-in desks at Newark Liberty International Airport in New Jersey ahead of the re-launch of the world's longest flight on Oct. 12, 2018, between Newark and Singapore. 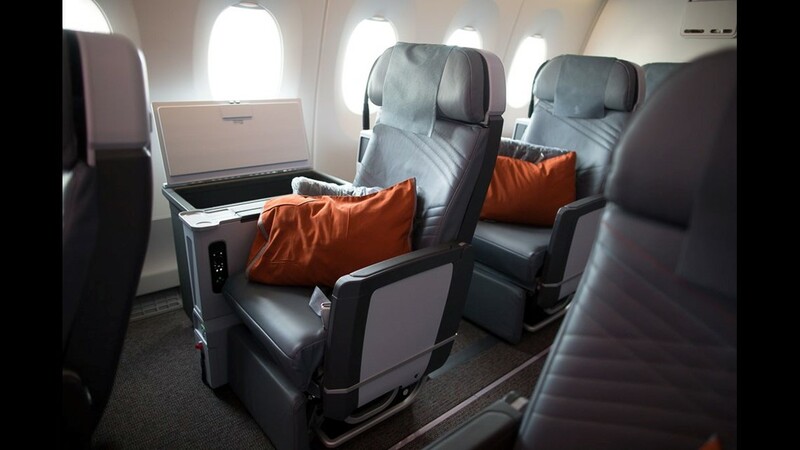 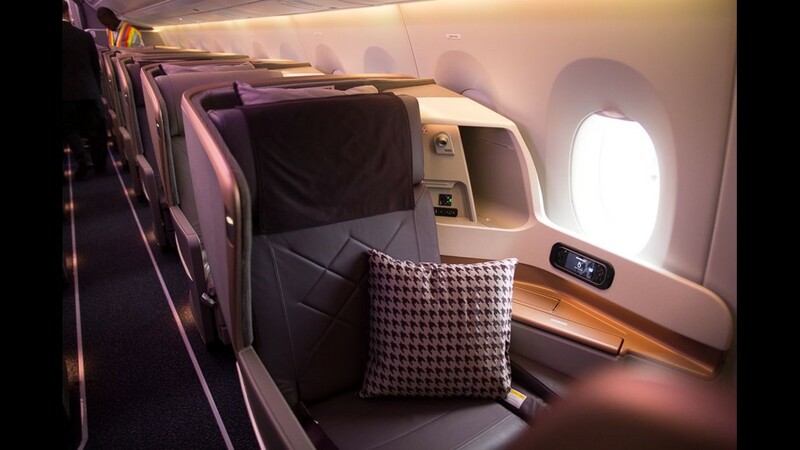 Singapore Airlines' premium economy cabin, aboard the Airbus A350-900ULR jet, which began operating the world's longest flight, between Newark and Singapore, on Oct. 12, 2018. 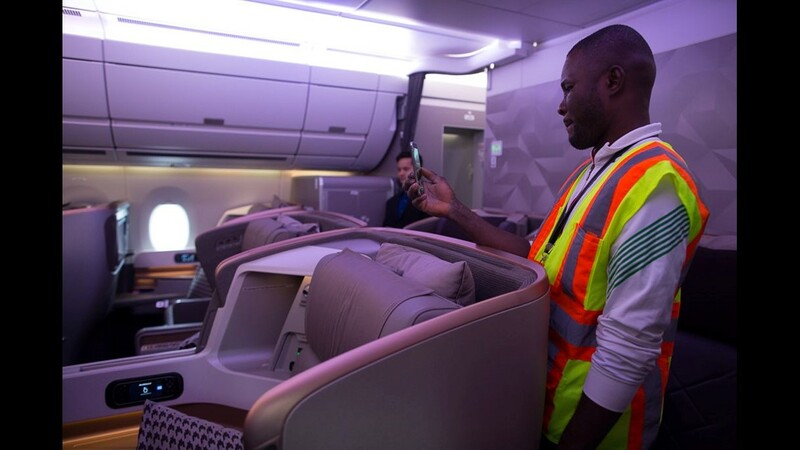 Singapore Airlines' Airbus A350-900ULR jet is readied before undertaking the world's longest flight from Newark to Singapore on Oct. 12, 2018. 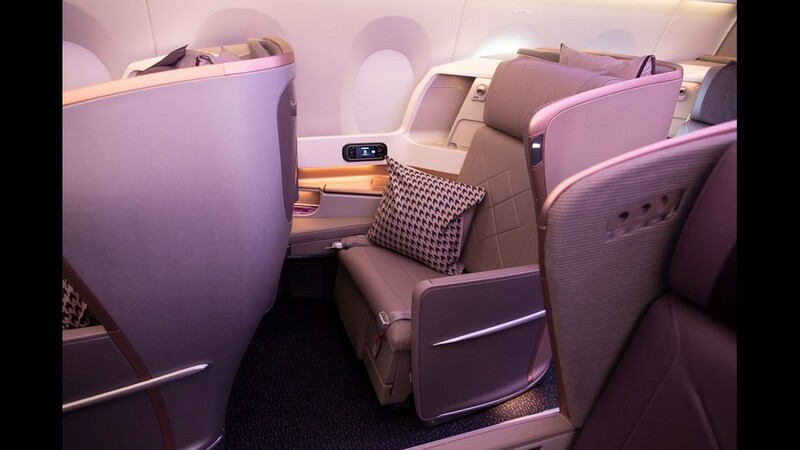 Singapore Airlines' business-class cabin, aboard the Airbus A350-900ULR jet, which began operating the world's longest flight, between Newark and Singapore on Oct. 12, 2018. 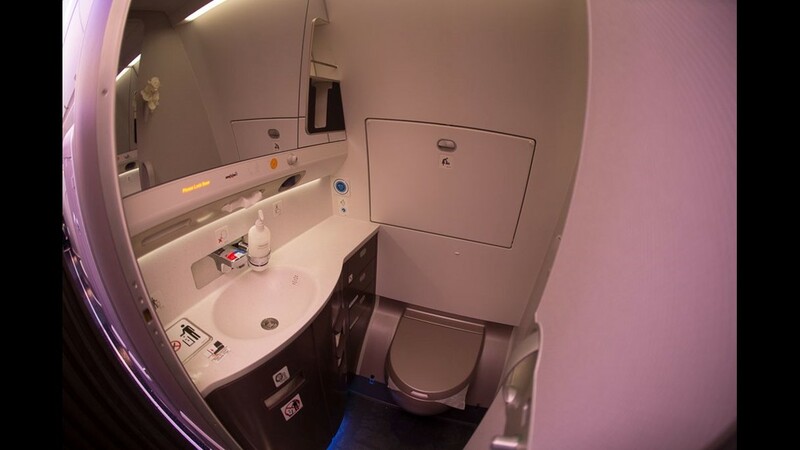 Singapore Airlines' business-class restroom, seen aboard the Airbus A350-900ULR jet, which began operating the world's longest flight, between Newark and Singapore, on Oct. 12, 2018. 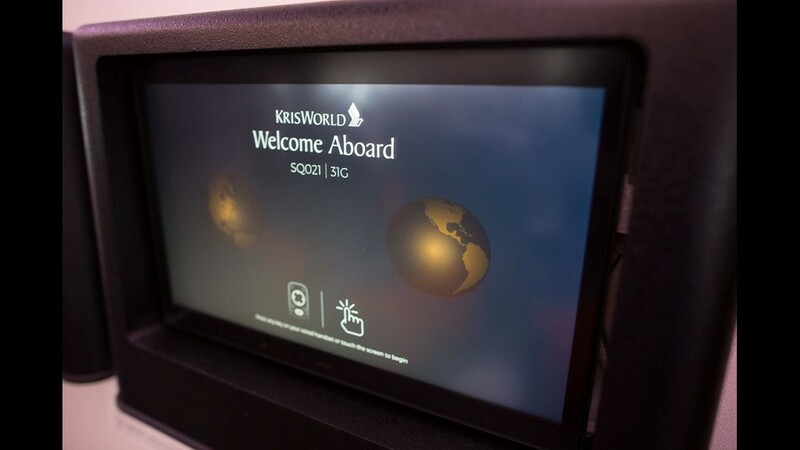 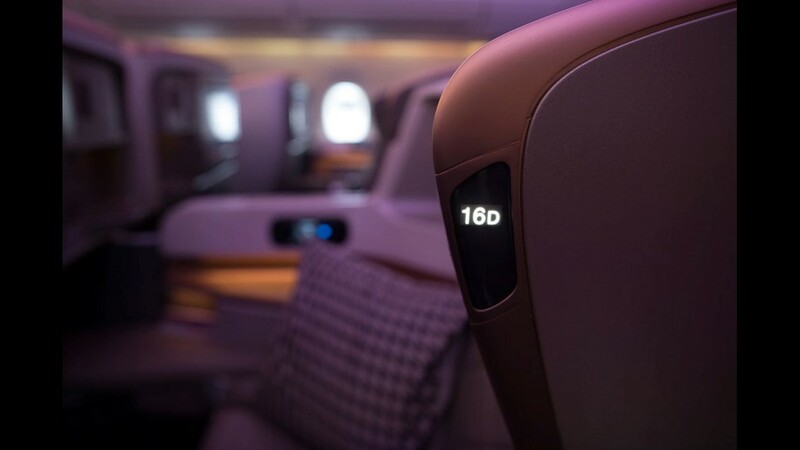 A handset in the business-class cabin shows the flight length for the world's longest flight, connecting Newark and Singapore, before taking off for the first flight on Oct. 12, 2018. 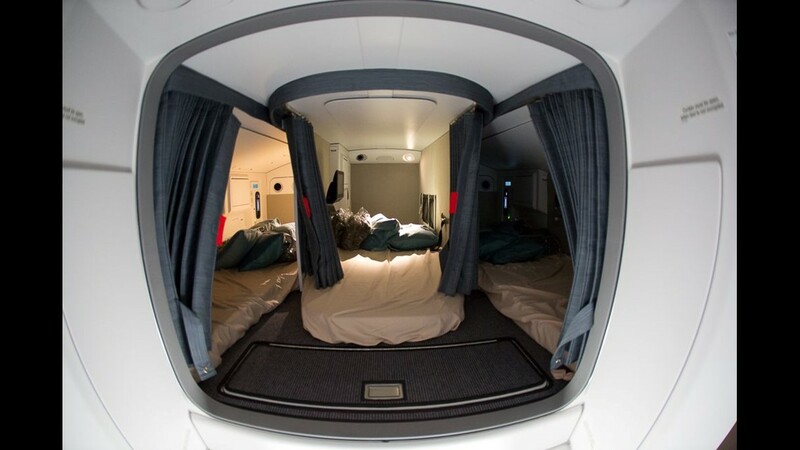 A rare look inside the crew rest area on Singapore Airlines' Airbus A350-900ULR. 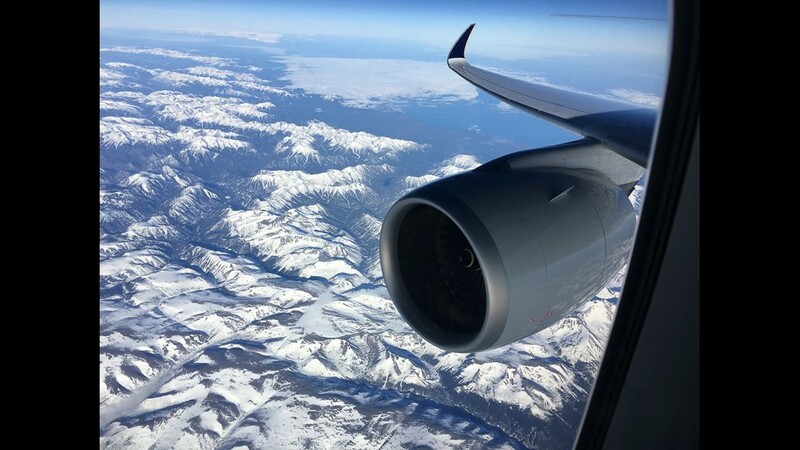 The aircraft began operating the world's longest flight, between Newark and Singapore on Oct. 12, 2018. 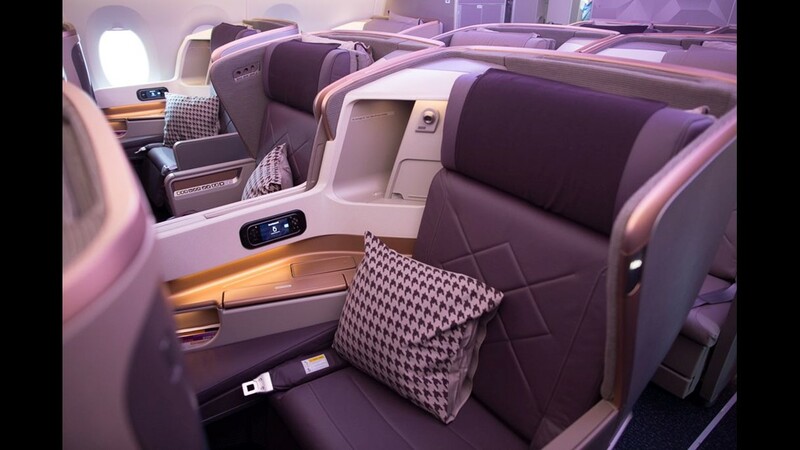 Singapore Airlines' premium economy cabin is seen on the Airbus A350-900ULR jet, which began operating the world's longest flight, between Newark and Singapore on Oct. 12, 2018. 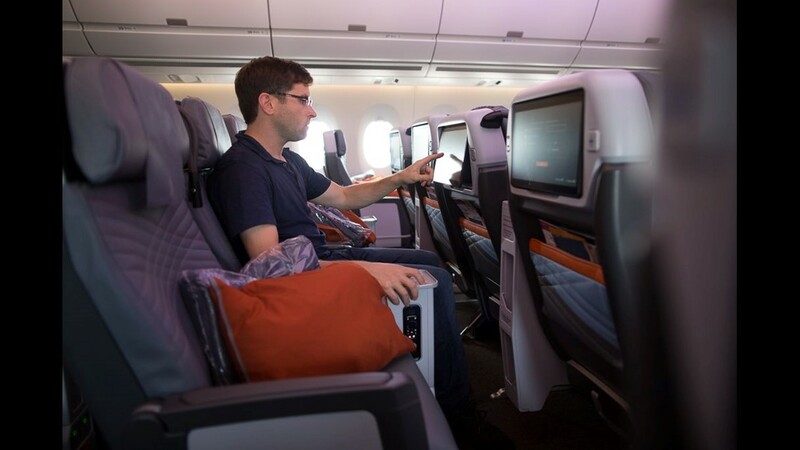 Journalist Zach Honig tests Singapore Airlines' premium economy cabin monitor ahead of the world's longest flight, which launched from Newark to Singapore on Oct. 12, 2018. 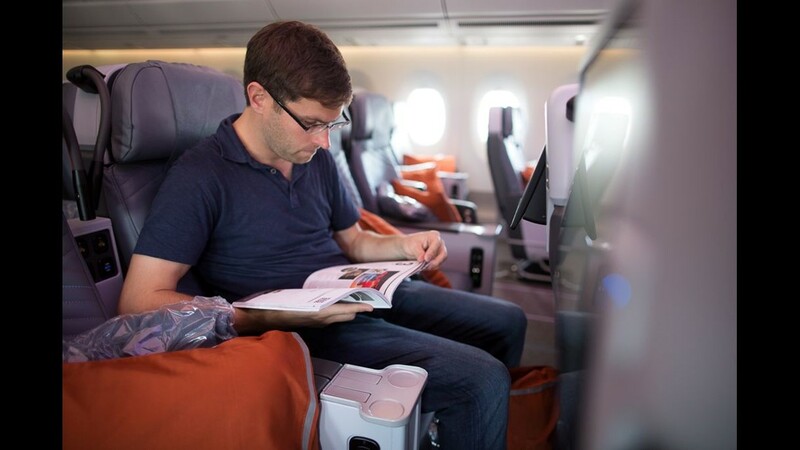 Journalist Zach Honig plays with Singapore Airlines' premium economy cabin before the jet takes off on the world's longest flight. 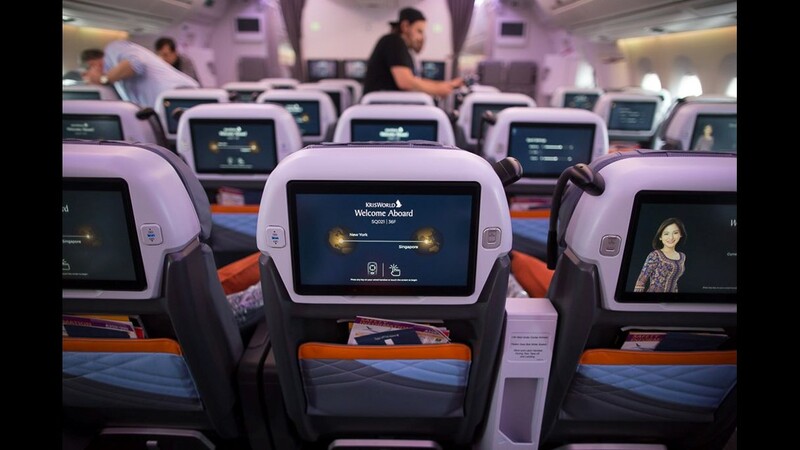 From Newark, the 9,534-mile flight to Singapore launched Oct. 12, 2018. 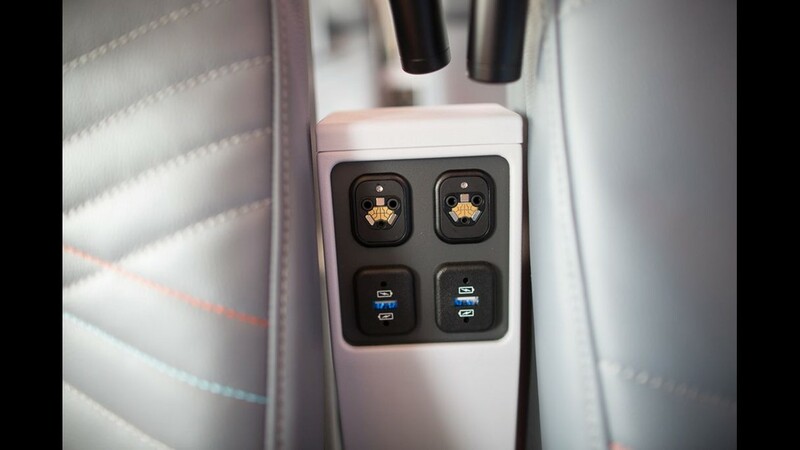 Singapore Airlines premium economy power outlets, seen aboard the Airbus A350-900ULR jet. 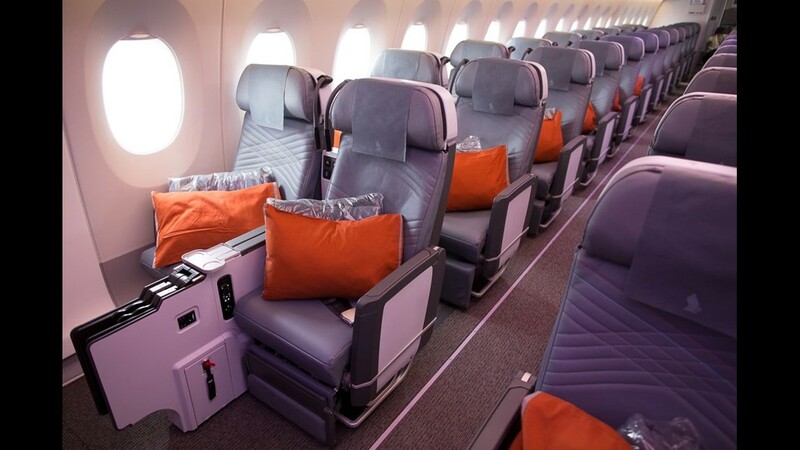 From Newark, the 9,534-mile flight to Singapore launched Oct. 12, 2018. 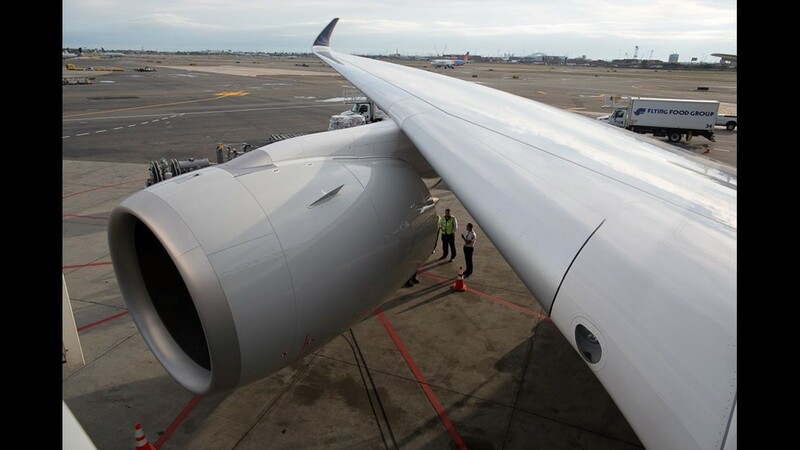 Singapore Airlines' Airbus A350-900ULR jet is readied at Newark Liberty International Airport before undertaking the world's longest flight. 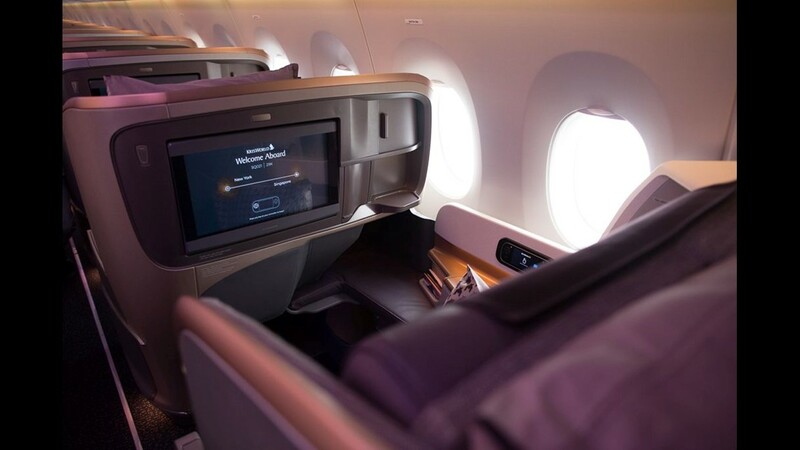 From Newark, the 9,534-mile flight to Singapore launched Oct. 12, 2018. 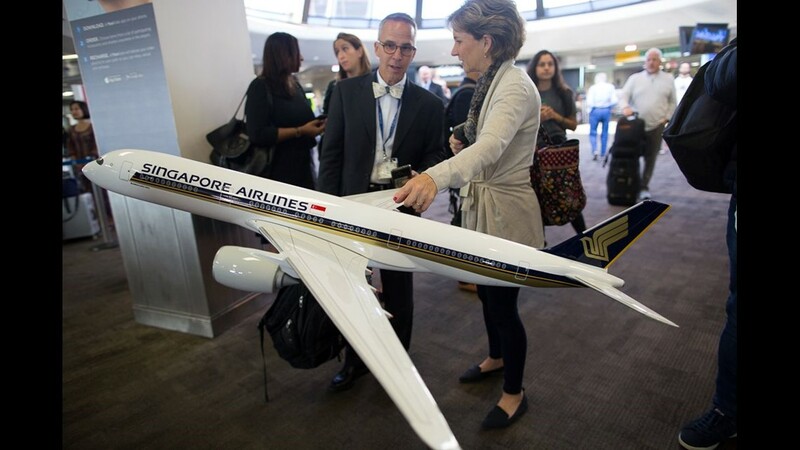 Passengers look at a giant model of Singapore Airlines' Airbus A350-900ULR before boarding the real jet for the world's longest flight. 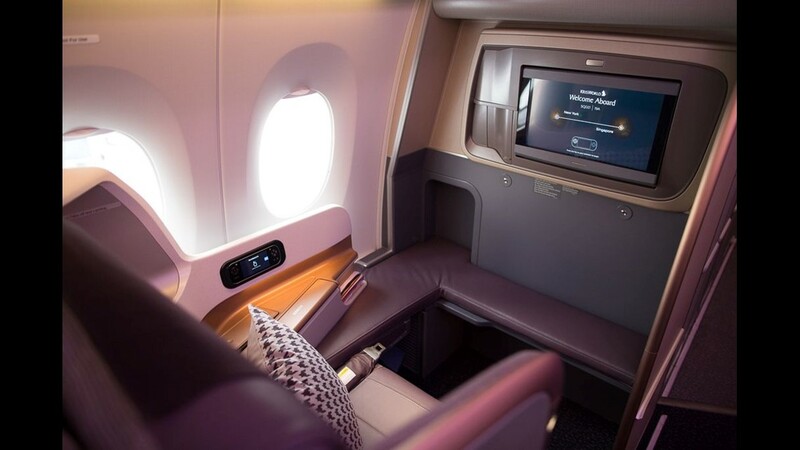 From Newark, the 9,534-mile flight to Singapore launched Oct. 12, 2018. 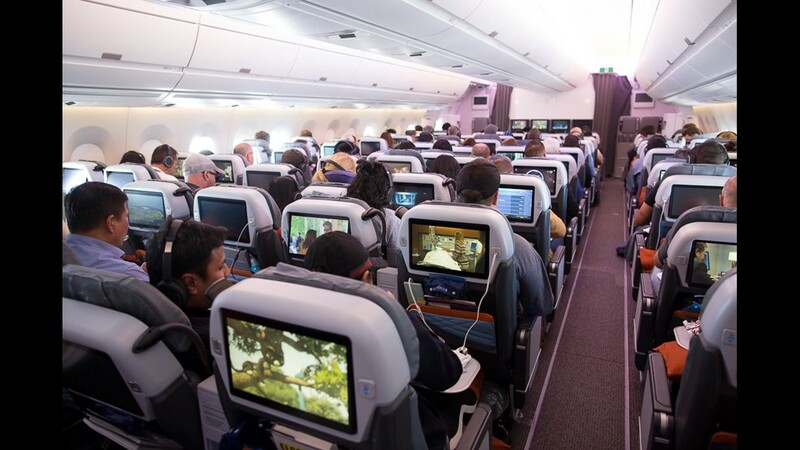 Passengers aboard Singapore Airlines' Airbus A350-900ULR watch a pre-boarding ceremony before boarding ther the world's longest flight. 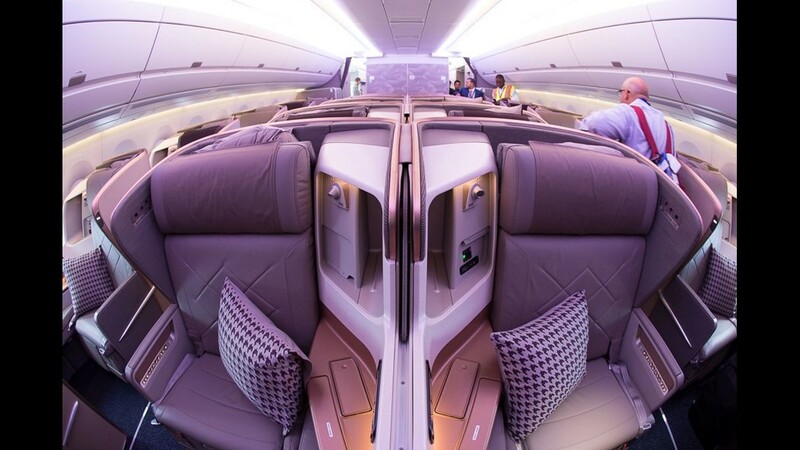 From Newark, the 9,534-mile flight to Singapore launched Oct. 12, 2018. 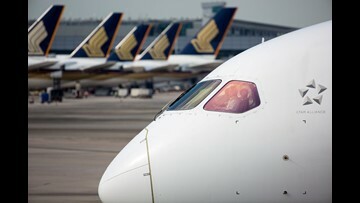 Ready for boarding, Singapore Airlines Flight 21 nears departure. 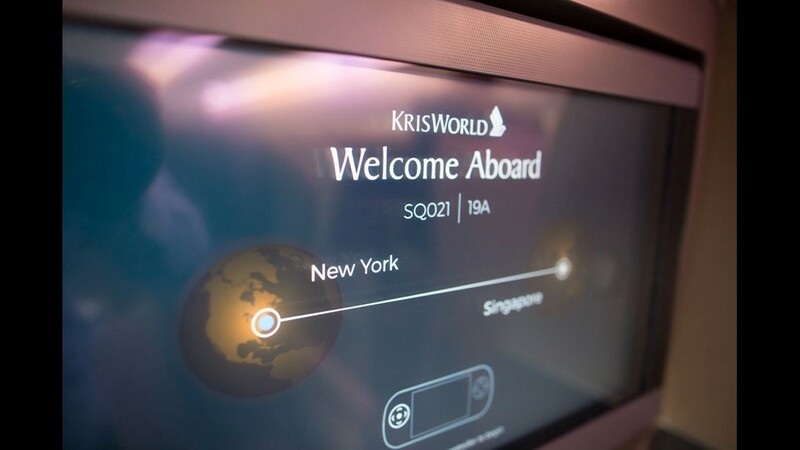 From Newark, the 9,534-mile flight to Singapore launched Oct. 12, 2018. 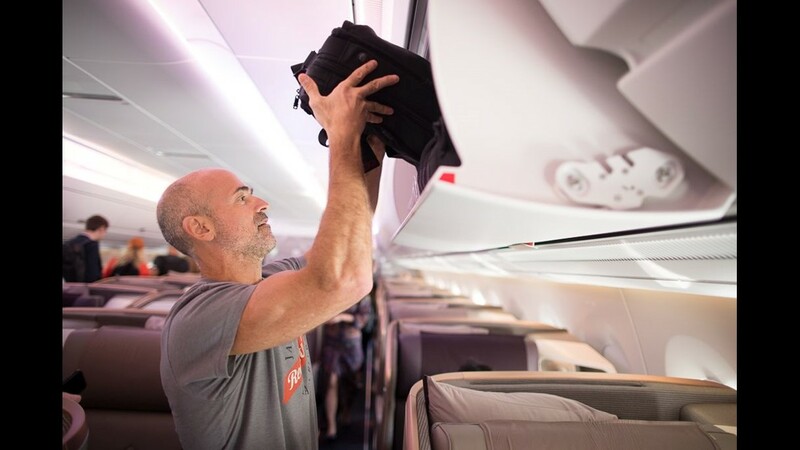 Passengers load bags into the overhead bins while boarding the world's longest flight. 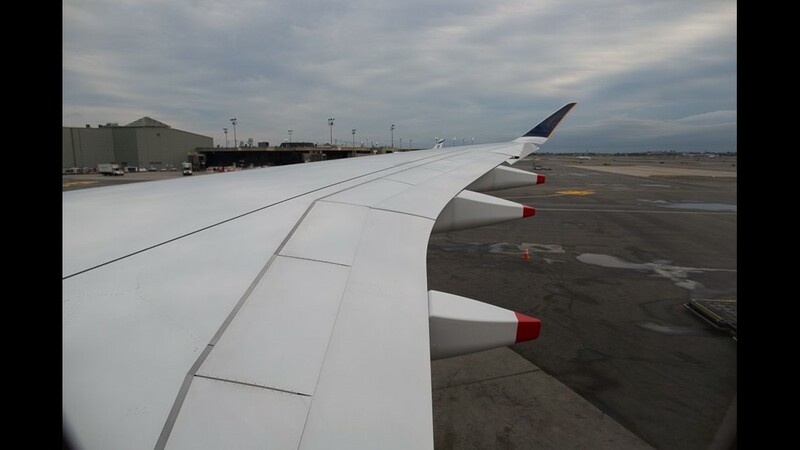 From Newark, the 9,534-mile flight to Singapore launched Oct. 12, 2018. 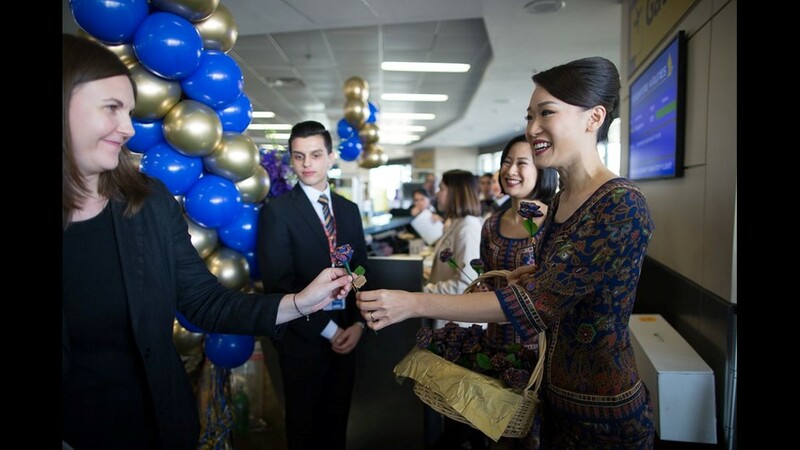 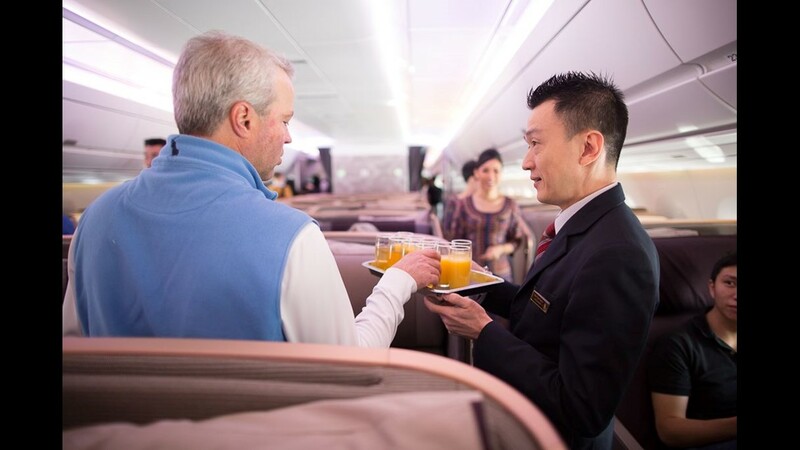 Cabin crew pass out pre-flight beverages before Singapore Airlines Flight 21. 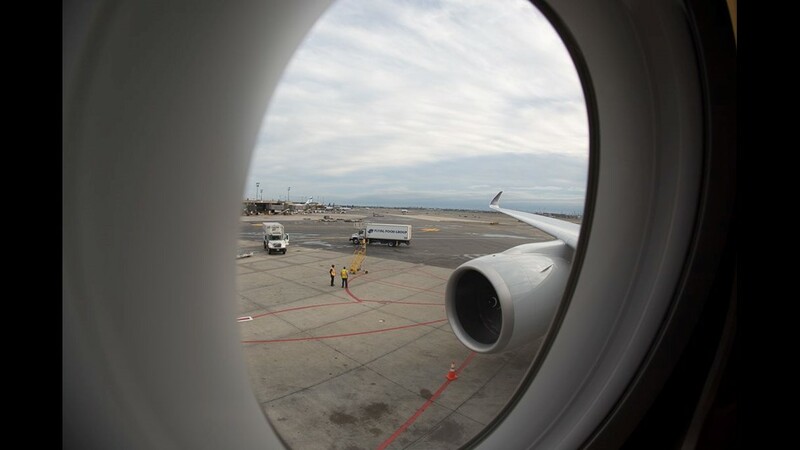 From Newark, the 9,534-mile flight to Singapore launched Oct. 12, 2018. 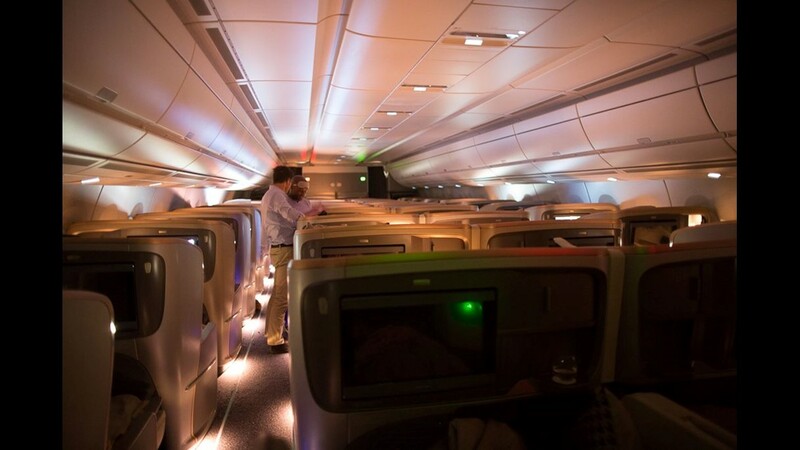 Singapore Airlines' Airbus A350-900ULR jet is readied before taking of on what's become the world's longest flight. 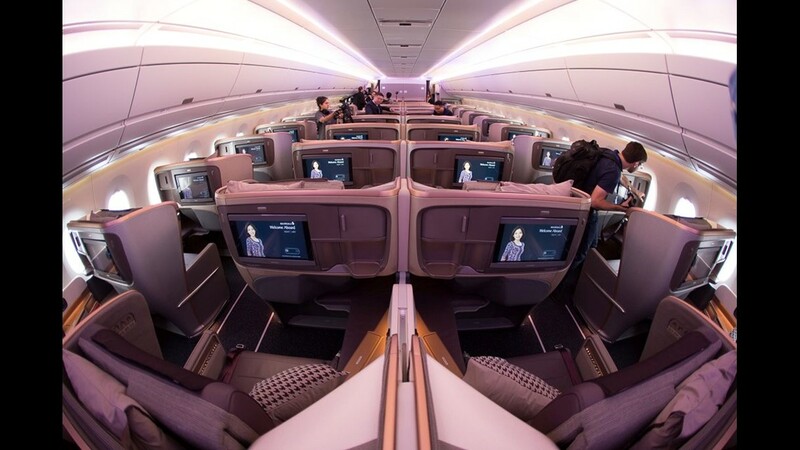 From Newark, the 9,534-mile flight to Singapore launched Oct. 12, 2018. 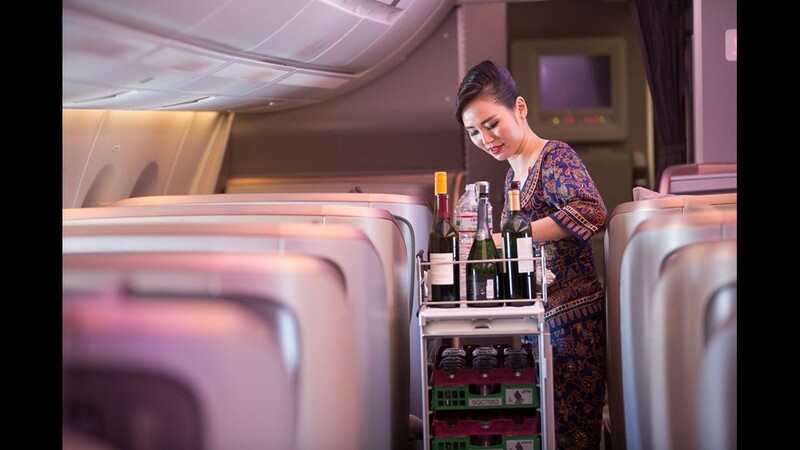 A flight attendant serves drinks aboard Singapore Airlines Flight 21, now longest flight in the world. 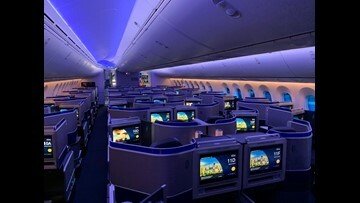 From Newark, the 9,534-mile flight to Singapore launched Oct. 12, 2018. 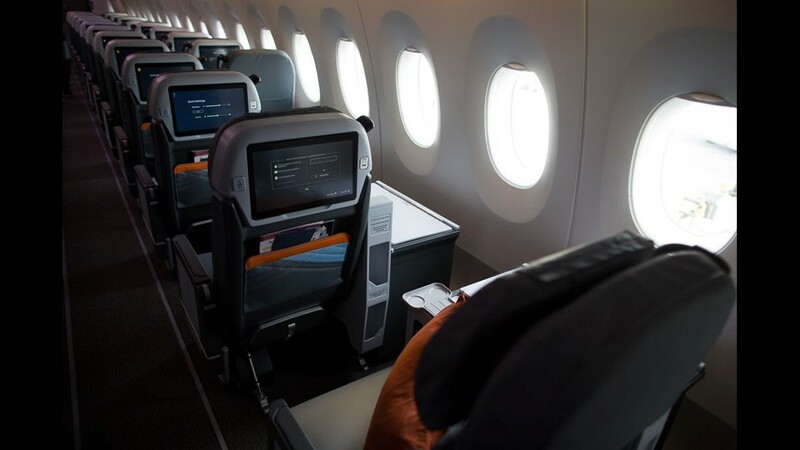 A full premium economy cabin is seen aboard Singapore Airlines Flight 21, now the longest in the world. 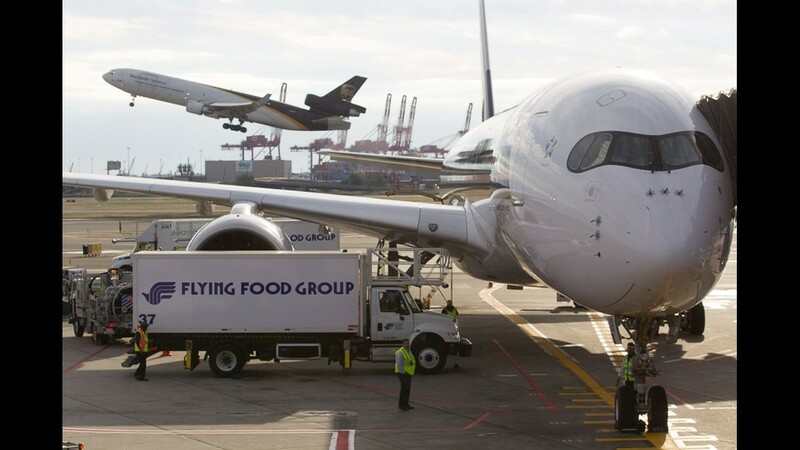 From Newark, the 9,534-mile flight to Singapore launched Oct. 12, 2018. 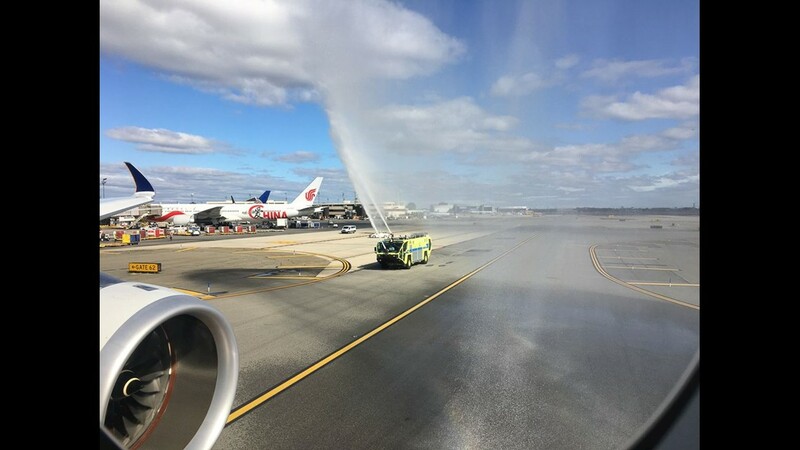 A water-cannon salute ushered in the launch of the world's longest flight from Newark. 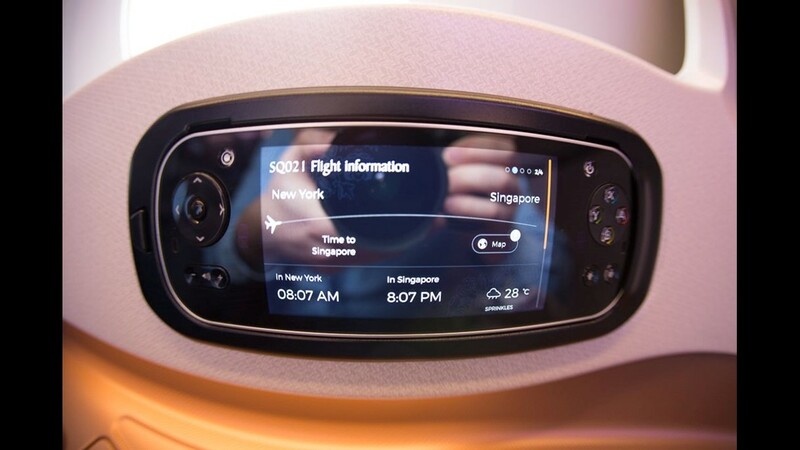 Singapore Airlines Flight 21, connecting Singapore and the New York City metro, launched from Newark airport on Oct. 12, 2018. 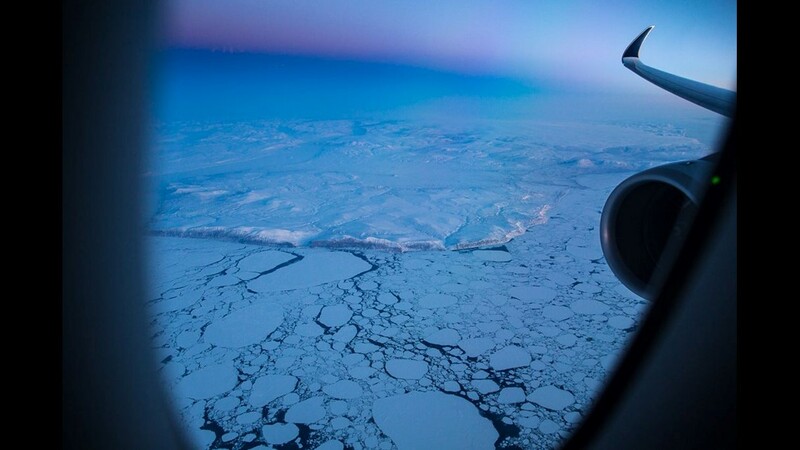 The sun sets over the splendid scenery of northern Greenland as Singapore Airlines Flight 21, now the longest in the world, trekked from Newark to `Singapore on Oct. 12, 2018. 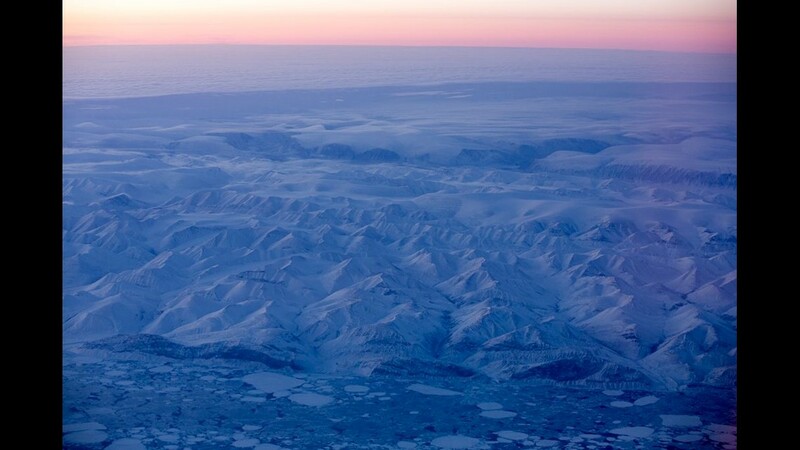 The sun sets over the splendid scenery of north Greenland as Singapore Airlines flight 21, the longest flight in the world, treks between Newark, NJ and Singapore on October 12, 2018. 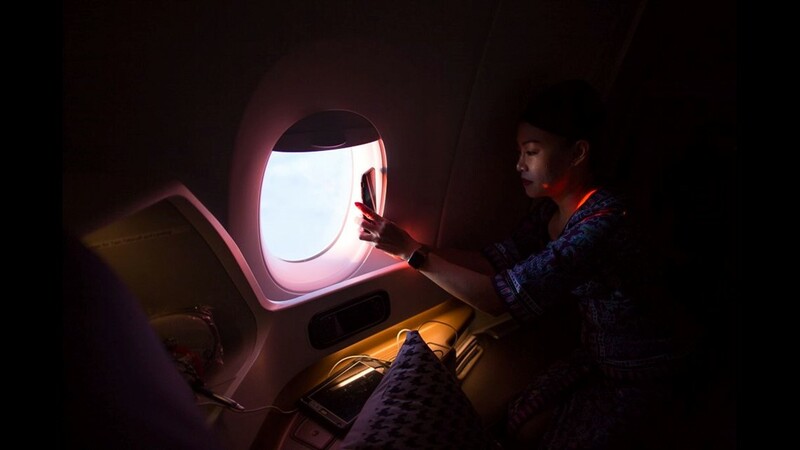 A Singapore Airlines flight attendant takes photos out of the window on the world's longest flight, connecting Newark NJ and Singapore on October 12, 2018. 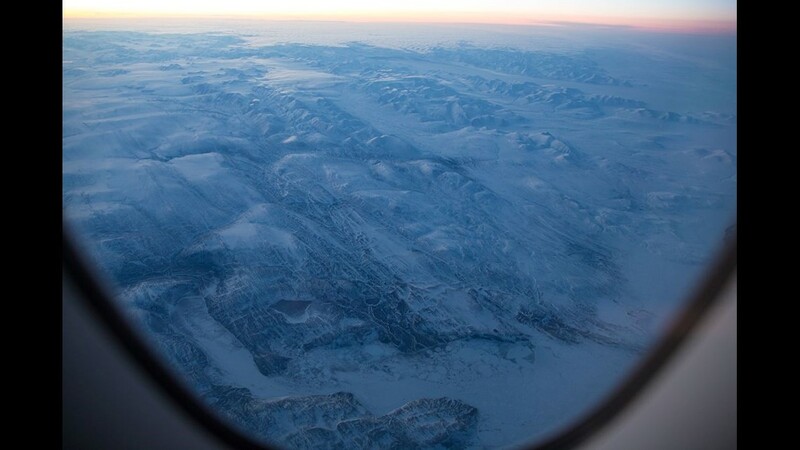 The sun sets over the splendid scenery of northern Greenland as Singapore Airlines Flight 21, now the longest in the world, trekked between Newark and Singapore on Oct. 12, 2018. 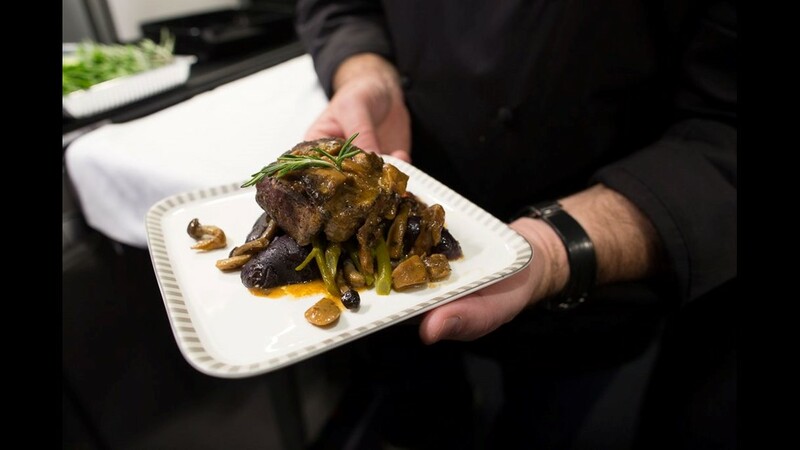 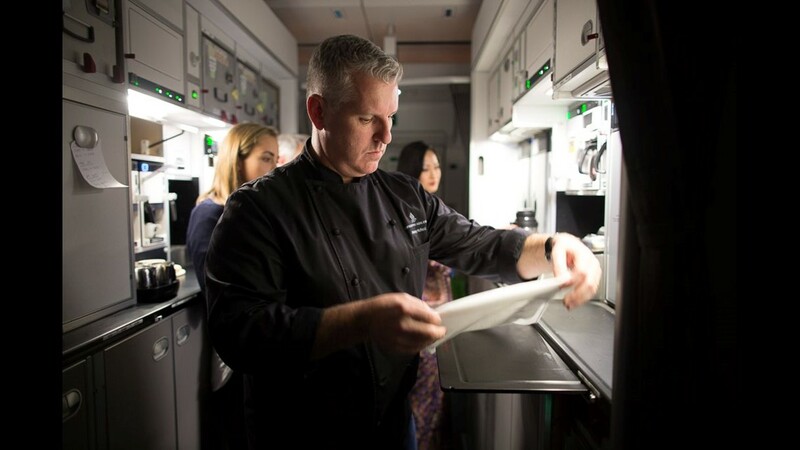 Anthony McNeil, Singapore Airlines' Director of Food and Beverage, shows a prepared business-class meal on board the world's longest flight on Oct.12, 2018. 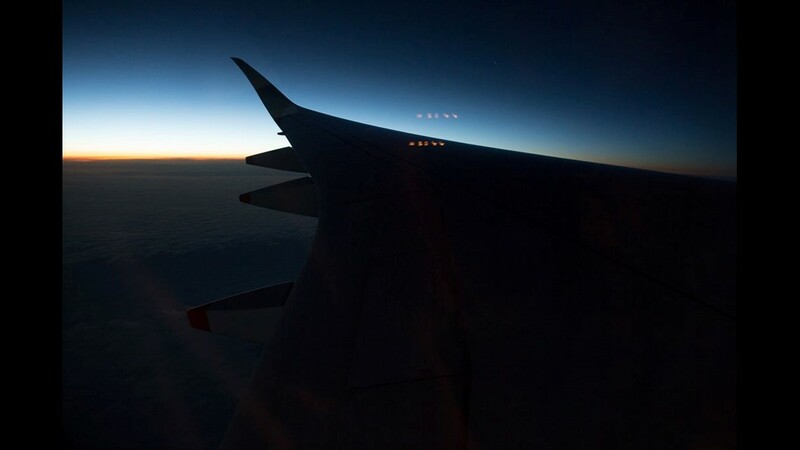 The sun sets near the North Pole as Singapore Airlines Flight 21, now the longest flight in the world, treks between Newark and Singapore on Oct. 12, 2018. 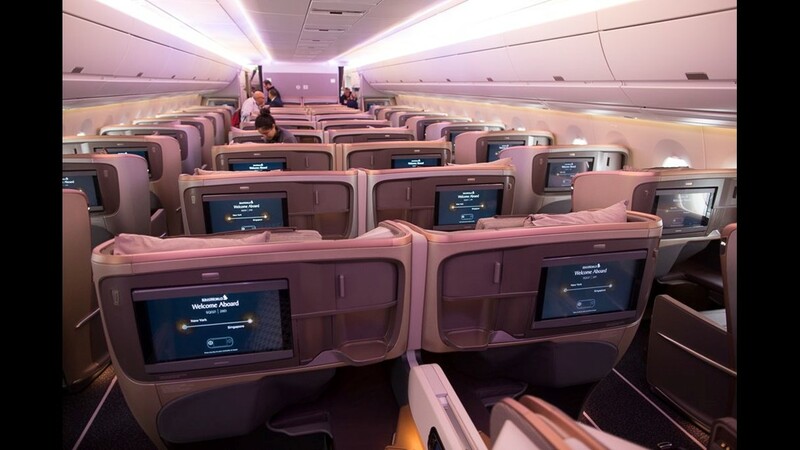 Business-class passengers settles in as the world's longest flight between Newark and Singapore nears its midpoint on Oct. 12, 2018. 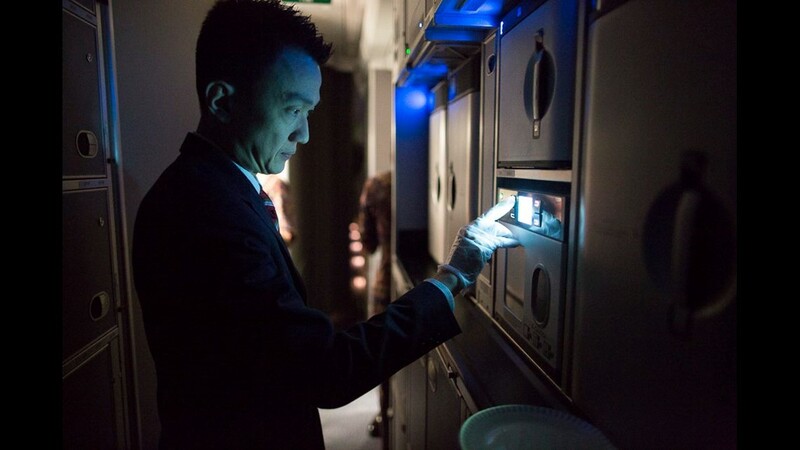 A flight attendant preps a meal in an oven on board Singapore Airlines Flight 21, now the longest in the world, on Oct. 12, 2018. 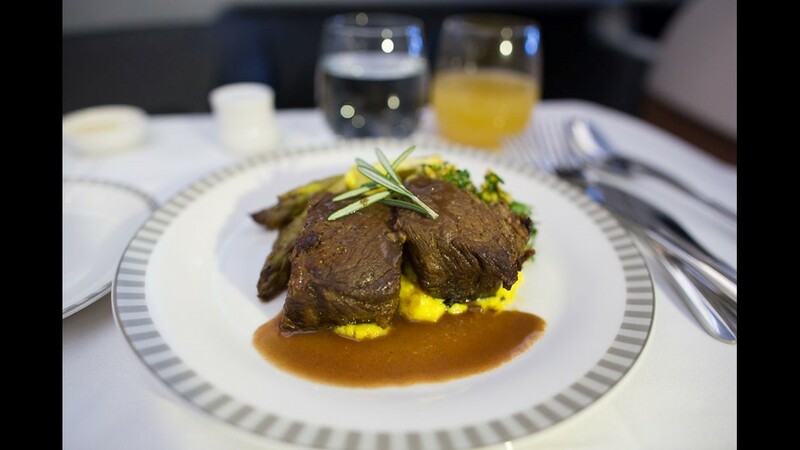 A meal on board the world's longest flight, between Newark NJ and Singapore, on Oct. 12, 2018. 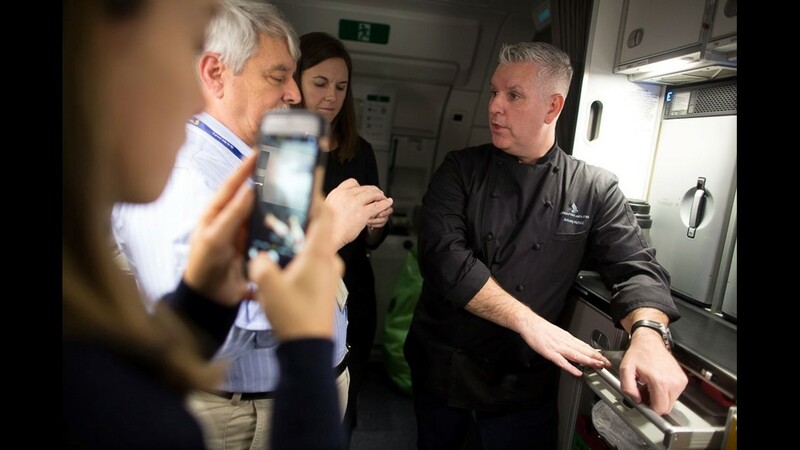 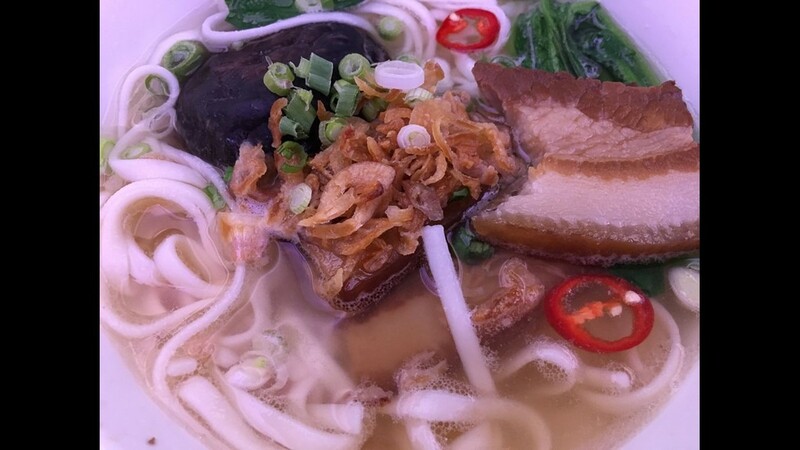 A meal on board the world's longest flight is seen somewhere between Newark and Singapore on Oct. 12, 2018. 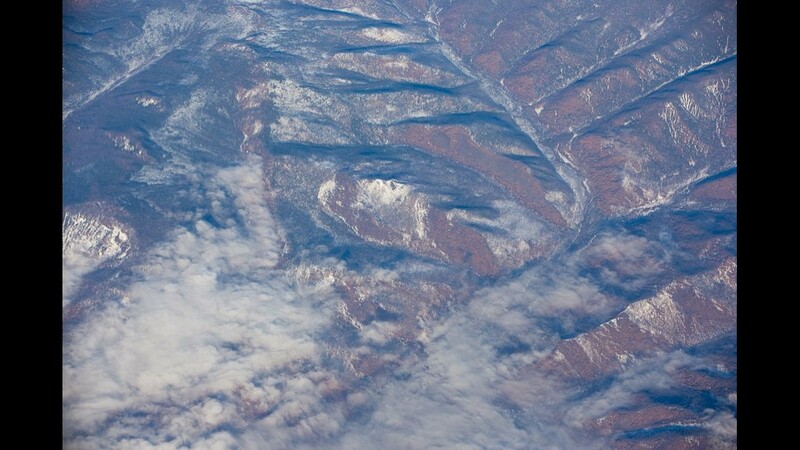 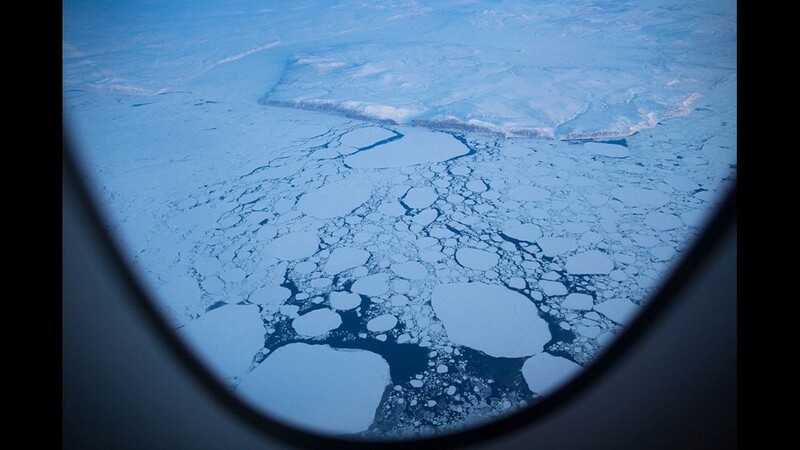 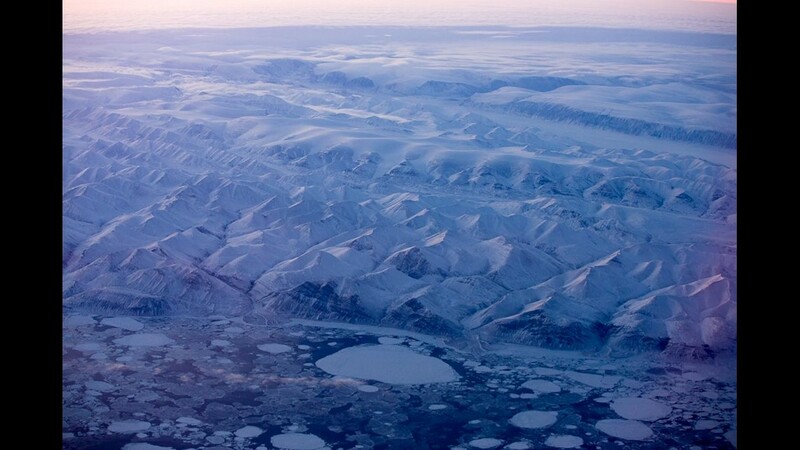 The landscapes of Siberia make for great window viewing from Singapore Airlines Flight 21, now the longest in the world, continues its run from Newark to Singapore on Oct. 12, 2018.